Celiac disease existed for thousands of years before researchers discovered gluten was the culprit. Nowadays, we know much more about what causes celiac disease and how to best treat it. Due to its myriad of symptoms and the fact that gluten is in so many foods we often consume, celiac disease can be difficult to diagnose. In fact it is often left undiagnosed, which can lead to problematic long-term health issues affecting not only your digestive system but also your skin, joints, and bones. Thankfully, there are natural ways to treat the uncomfortable and often painful symptoms of celiac disease and help improve your quality of life. If you have celiac disease or you believe you may be experiencing related symptoms, a digestive health naturopathic doctor will be able to help you investigate natural solutions. In the meantime, let’s look into the details of what celiac disease is. Celiac disease is an auto-immune reaction to the consumption of gluten, which is a protein found in wheat, rye, and barley. The immune reaction is triggered in your small intestine, which can cause disastrous problems over time if left untreated. Most statistics put celiac disease as affecting less than 1% of all adults, though many cases are thought to be undiagnosed. Researchers from the University of Chicago estimate that approximately 15-17% of celiac cases are known and diagnosed in America alone, meaning that the majority of individuals with celiac disease do not know they have it. But what actually happens inside of your body when you have celiac disease? If you have celiac disease and you consume gluten, your digestive system sets off an alarm, to which your immune system immediately responds. When your body interacts with gliadin, one of the compounds in the gluten protein, your antibody levels will rise and your body will releasecytokine chemicals. Usually, cytokines are a good thing. When they are functioning properly, they help your body heal and protect against harmful infections and injuries. However, cytokines can also cause problematic inflammation, which is related to a myriad of health issues. But how do you know if your health issues are due to a gluten intolerance, or something more? Let’s delve into the various signs and symptoms indicative of celiac disease. Celiac disease can manifest itself in many different symptoms, and they are different in adults and children. However, the most common symptoms for adults with celiac disease are related to the digestive system. The most prevalent include diarrhea, constipation, fatigue, and weight loss; other common digestive symptoms include abdominal pain, nausea and/or vomiting, and malnutrition due to improper gut absorption. There are also many symptoms of celiac disease that are not centred around the digestive system. The symptoms of celiac disease can be very different in children. Younger children (under 2 years old) with celiac disease typically experience vomiting, diarrhea, poor appetite, failure to thrive, and a swollen belly. Children older than 2 may experience some similar symptoms, such as diarrhea, constipation, and weight loss, but they may also have a short stature, delayed puberty, and various neurological symptoms. These neurological symptoms include irritability, ADHD (attention-deficit/hyperactivity disorder), headaches/migraines, or learning disabilities. Celiac disease can manifest in many various ways and can be mistaken for many other digestive and health issues, which is a major factor in making it difficult to diagnose. Unfortunately for those dealing with celiac disease, the exact cause is unknown. Celiac disease can be triggered by an intense emotional experience during pregnancy or childbirth, or a traumatic physical and emotional event, such as surgery or severe stress. Although some gene variations appear to increase your risk of developing celiac disease, it is not necessarily a genetic condition. For example, if someone in your family has celiac disease, you will not necessarily have it as well. This proves additional factors must be involved in the causation of celiac disease. Is Celiac Disease And Gluten Intolerance The Same Thing? Although there are similarities between those who suffer from celiac disease and those who have a gluten intolerance, there are key differences between the two. Gluten intolerances lie on a spectrum from mild to more serious symptoms and reactions, even among those who have celiac disease. It is possible to have non-celiac gluten sensitivity, and some researchers theorize that many people have this condition without knowing. You can have trouble digesting gluten without being clinically allergic to it, meaning your celiac disease tests are negative and you don’t show specific signs of gluten intolerance. 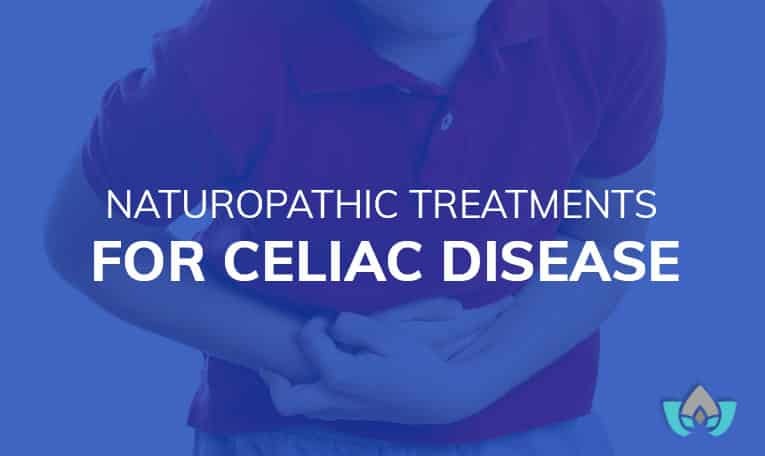 If you’re suffering from celiac disease and looking for a natural way to treat your symptoms, there are naturopathic solutions that may bring you necessary relief. Unfortunately, there is no cure for celiac disease as it is a chronic autoimmune disease, but there are natural ways to mitigate your symptoms. 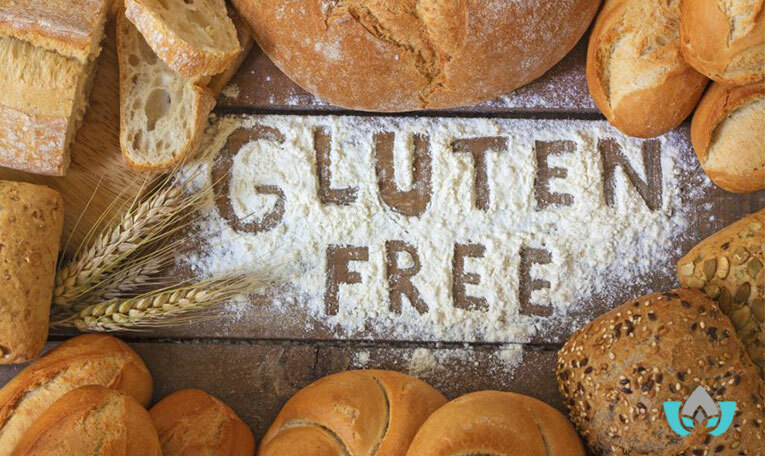 Eating gluten-free foods is a crucial step towards living and coping with celiac disease. Not only wheat products contain gluten – wheat, barley, and rye contain proteins comprised of 80% gluten, and other grains may contain hidden gluten. Many packaged foods may contain gluten, even if it doesn’t seem like they do – be sure to check the ingredient label when purchasing these kinds of products. This is due to how foods are processed nowadays, which leaves many packaged goods containing trace amounts of gluten. You can consult with a naturopath to ensure which foods are entirely gluten-free and safe for you to consume. These days, there are multitudes of nutritious (and often delicious) gluten-free options to choose from. The unfortunate consequence of malabsorption is that your body lacks important nutrients such as iron, calcium, zinc, and various vitamins. These vitamins and minerals just don’t get absorbed properly by your gut, which makes nutrient deficiencies a common issue for those dealing with celiac disease. After getting tested for suspected deficiencies, we can help you find which dietary supplements will help restore your nutrients to their proper levels. Many packaged wheat products are enriched with various nutrients, while gluten-free products are often not. Supplements and nutrient-dense foods are very important to include in your diet and lifestyle. Many different parts of your body can suffer from celiac disease, from your bones to your skin. Tests such as a bone density can be performed to ensure you are not experiencing bone loss or joint issues such as inflammation. Skin rashes can be an uncomfortable symptom to deal with, so getting your skin tested for potential disorders such as dermatitis herpetiformis can help you find relief. There are also tests that can be done to ensure your digestive system isn’t suffering more than it should. Leaky gut syndrome can be painful and cause further damage, and unfortunately it often appears in those with celiac disease. Thankfully, there are tests that can keep you in the know on what’s going on in your digestive system. If you’re living with celiac disease and want better ways to manage your symptoms, you don’t have to suffer in silence. There are natural remedies that can help improve your gut health and make your body’s reactions to gluten more manageable. Alternatively, if you’re reading this and suspect you may be dealing with celiac disease, we can help. Contact us at the Mindful Healing Clinic for a free consultation. We can look at your individual health concerns and work together on a treatment plan to help your body heal, and get you feeling your best. Book your free health and wellness session at The Mindful Healing Clinic today.